As part of the Patient Led NHS agenda the Practice Manager, Liz Lythaby & Dr Adnan Saad, are running a Practice Patient Group for discussion of the services provided by the practice. We value your views on what is being done in the surgery, and also your suggestions for improving the service given. It’s not too late to be involved! 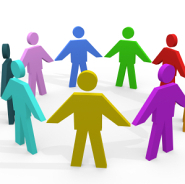 We are keen for as wide a variety of patients as possible to join our Patient Participation Group.